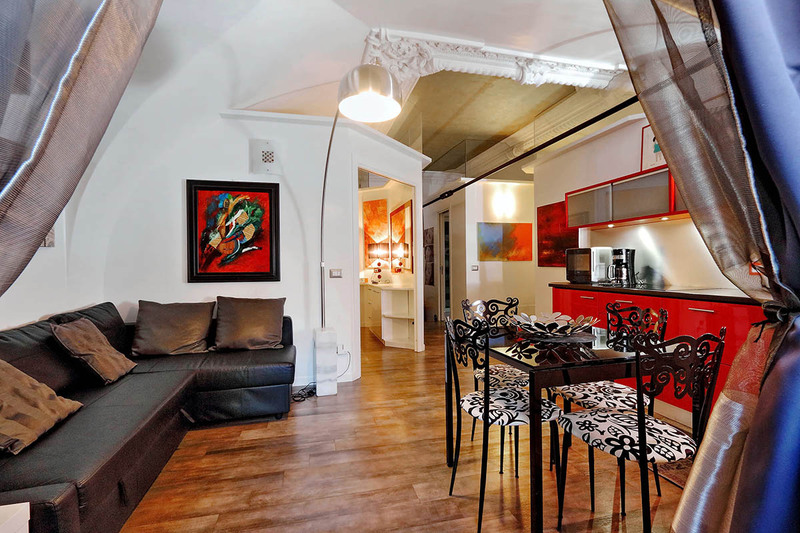 We had a wonderful experience with Rome Loft. Gaia greeted us at our apartment and showed us around. The apartment itself was perfect. 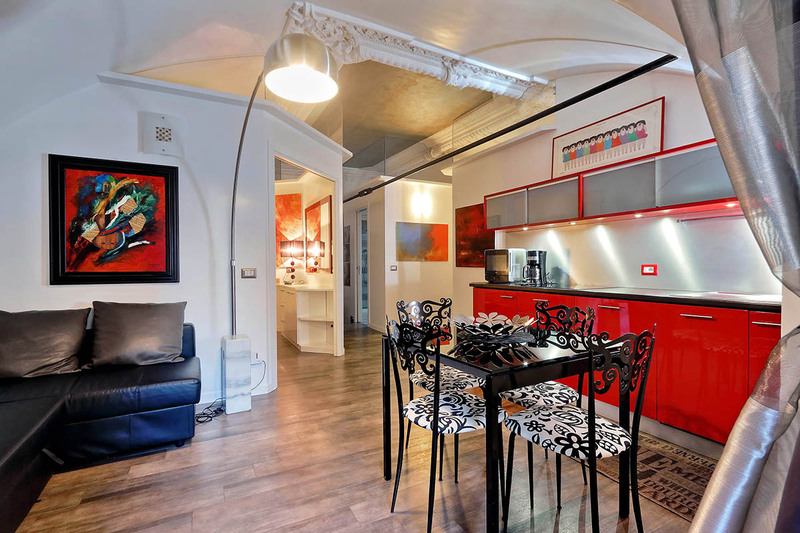 The air-conditioning worked beautifully (hot week in Rome) and the furnishings were lovely, the kitchen was well-equipped. We loved our stay! The building opens into a rustic foyer. You will find the apartment on the first floor without a lift (but only one floor of stairs to climb). 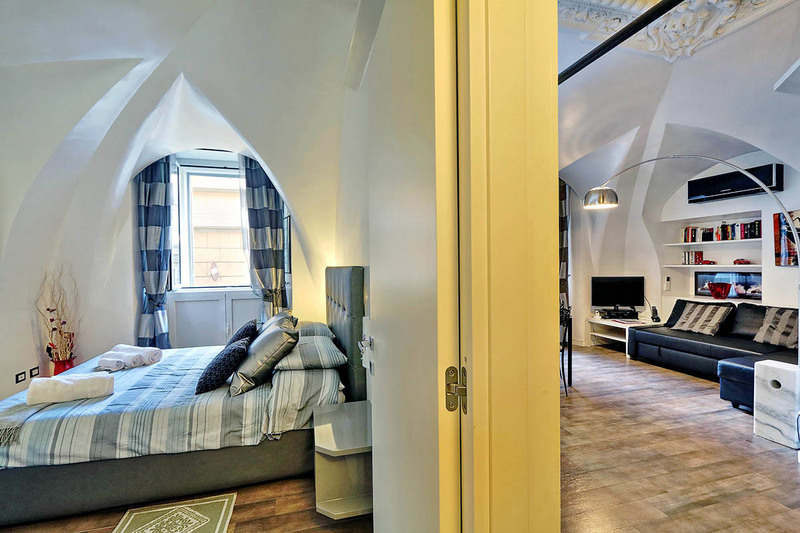 Upon entry, apartment will greet you with sleek floors and bright walls, with boldly coloured decor. The modern feel contrasts nicely with the Roman antiquity just beyond the windows. The first thing you will see at the end of the small entryway is the combined living room and dining area. Here you will find the dining table which can seat up to six people with extra chairs available in the closet. 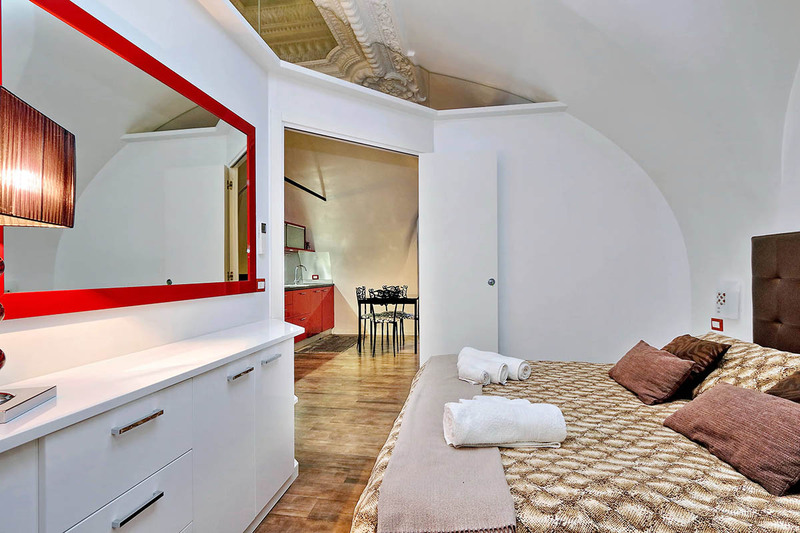 There is also a sofa which you can converted into a double bed. Next to it there is a flat screen TV. Behind the dining/living room area you find the entrance to the master bedroom with a king size bed and ensuite bathroom. Modern furnishings and minimalist style decorate the room. On the other side of the apartment there is the guest room. 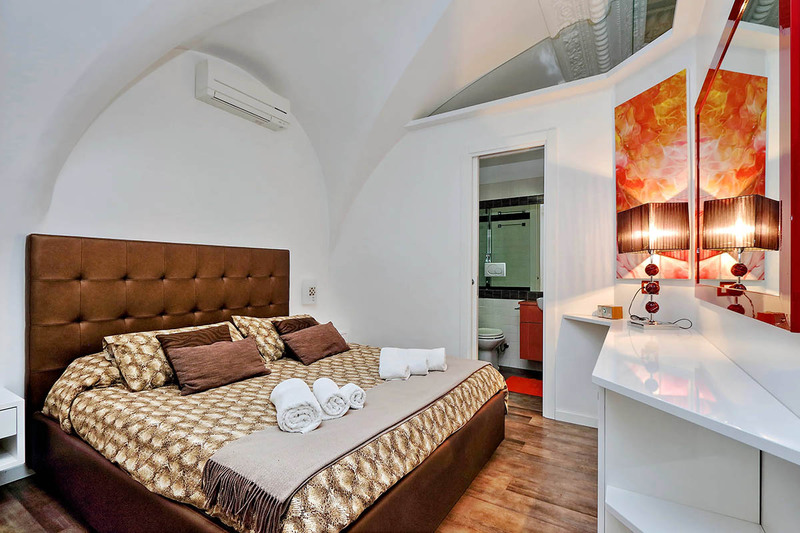 It is complete with a king size bed, and a charming view of the piazza below. There is also a small walk in storage area for clothing and utilities. 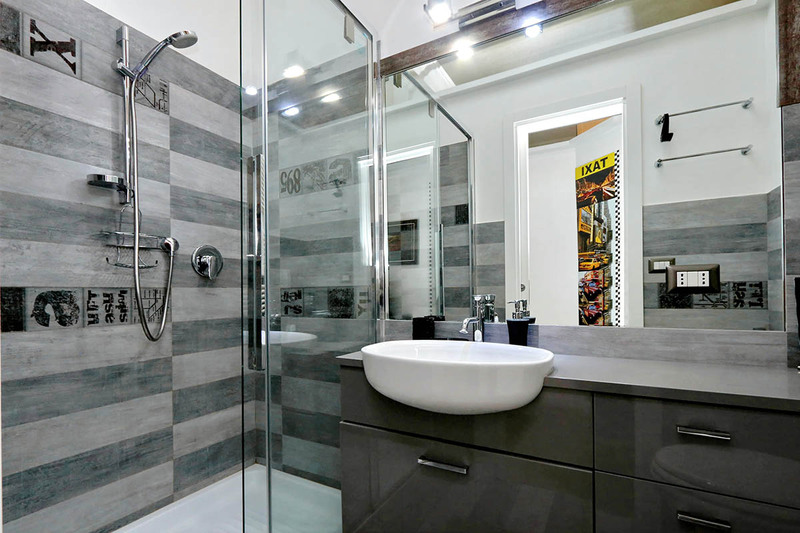 Around the corner there is a second bathroom that includes a shower. 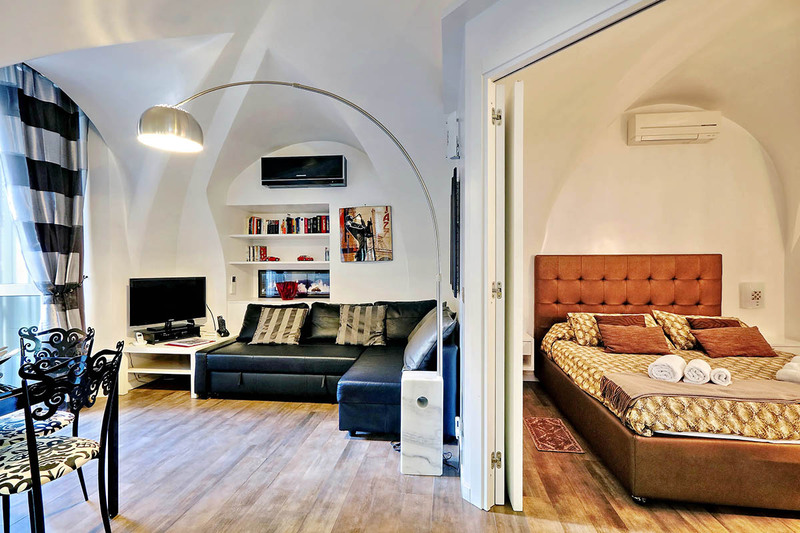 Both bedrooms have individual AC units and sufficient storage space. 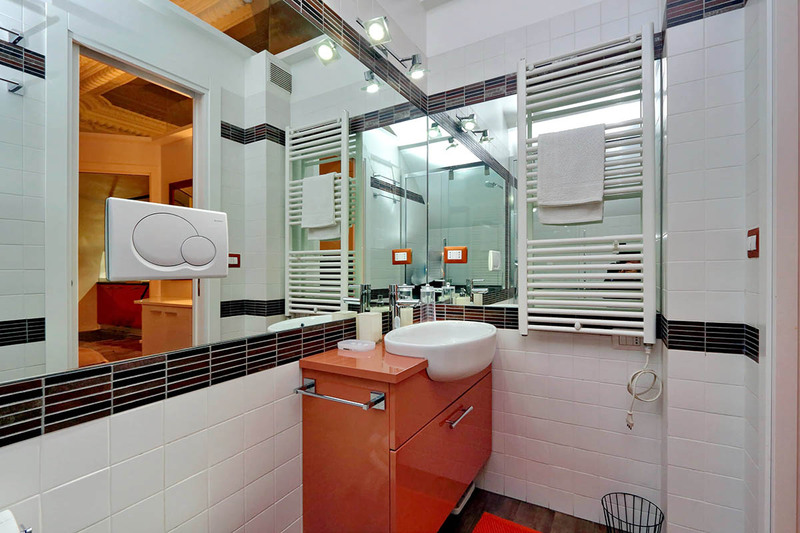 AC units line the walls of every room. 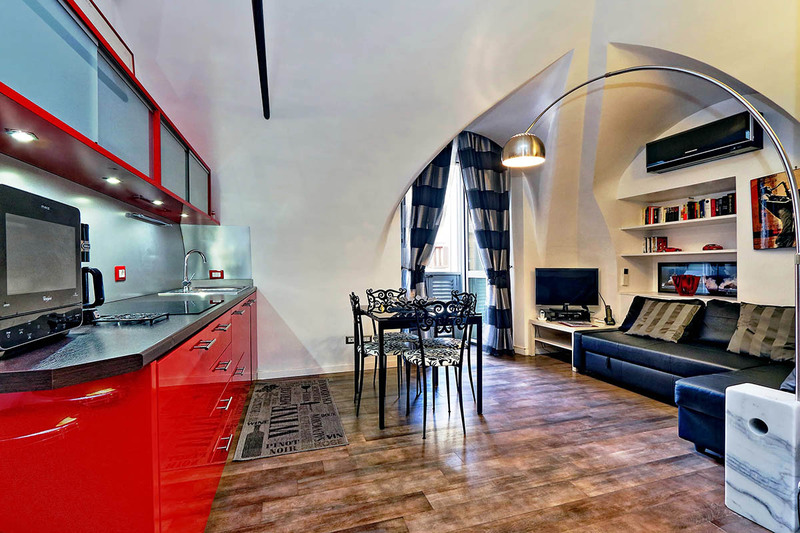 The Campo de Fiori Stylish Apartment has offers a kitchen that is well-stocked. 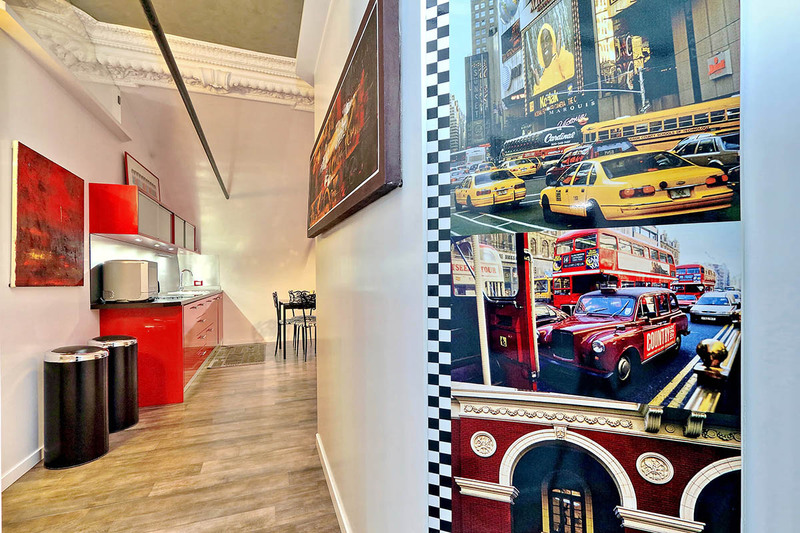 Here you can find pots and pans, as well as a toaster, an espresso machine, and a dishwasher. Finally WiFi Internet is available throughout the apartment. 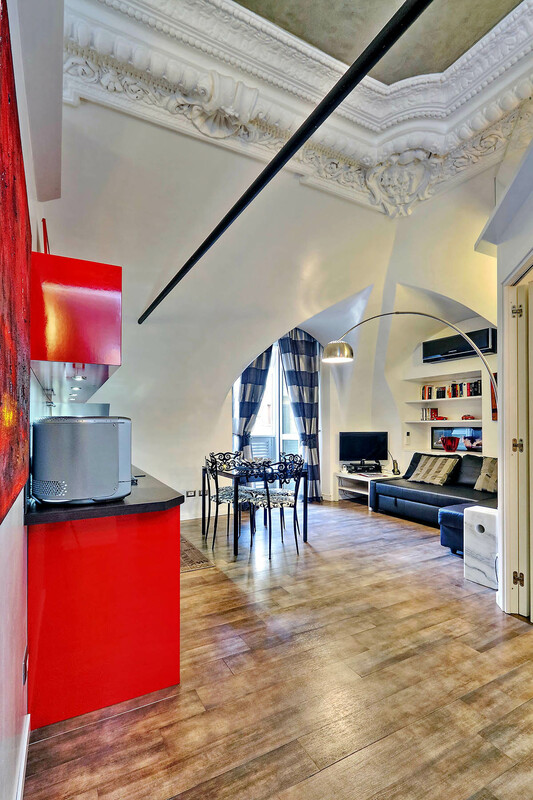 This stylish spot is an excellent way to live modernly while enjoying prime access to all the ancient wonders Rome has to offer. Important note: Standard check in time for this apartment is after 14:00. Check in is possible until 02:00 with our late check in fee. 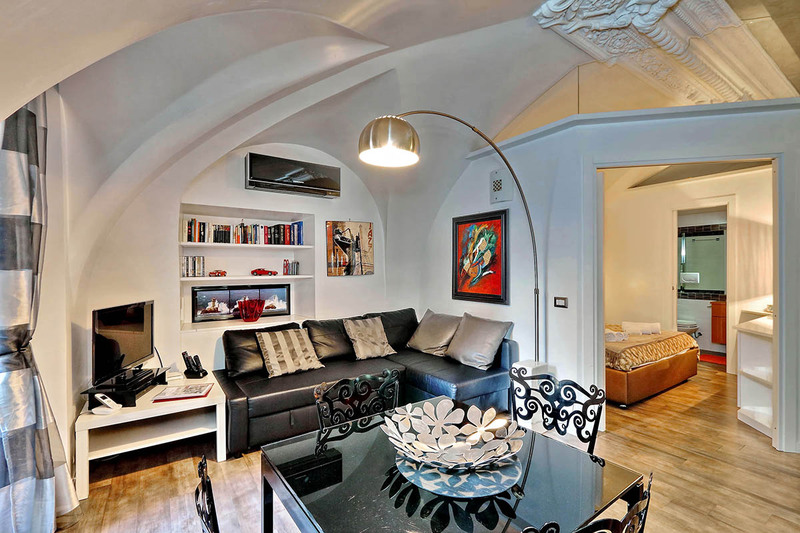 This apartment is just a few minutes walk from Campo de Fiori, the Jewish Ghetto and Trastevere. Its location is truly excellent for exploring the city’s highlights. In this area you will also find a plethora of restaurants, shops, and bars. 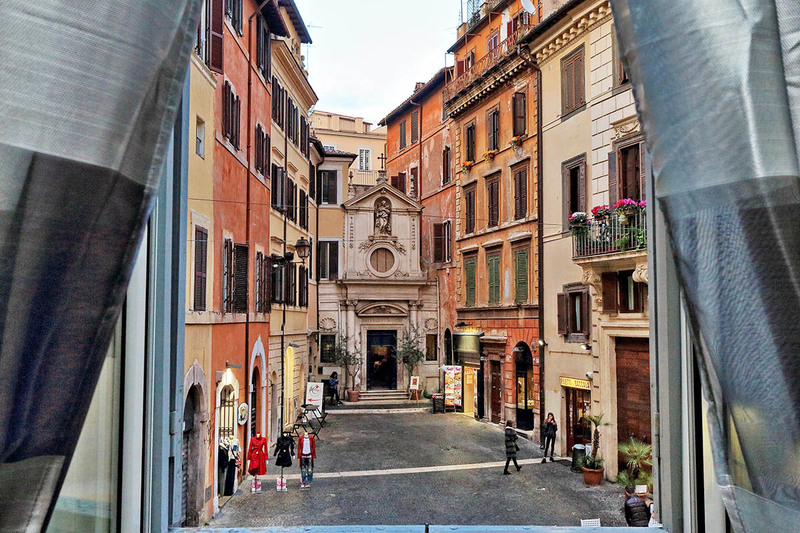 In the mornings, make sure to catch the Campo de Fiori market, which sells many fresh and local products. 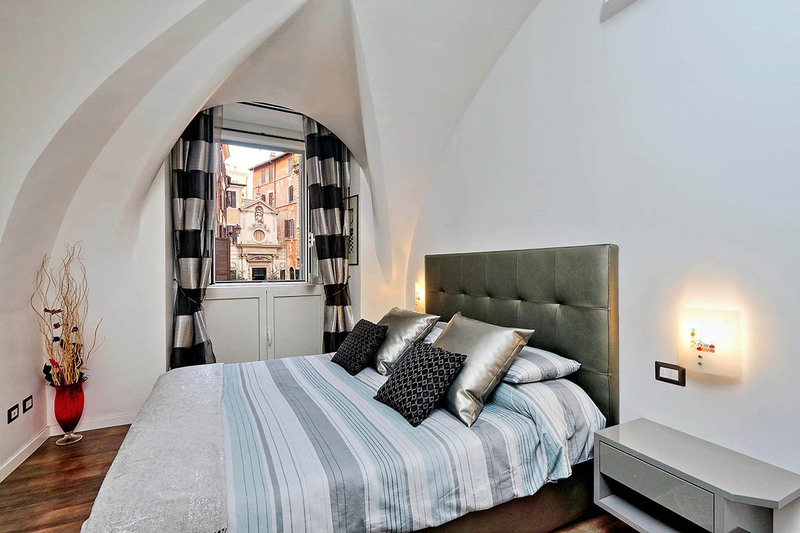 Attractions such as the Piazza Navona, the Pantheon, and the Vatican are within easy walking distance. 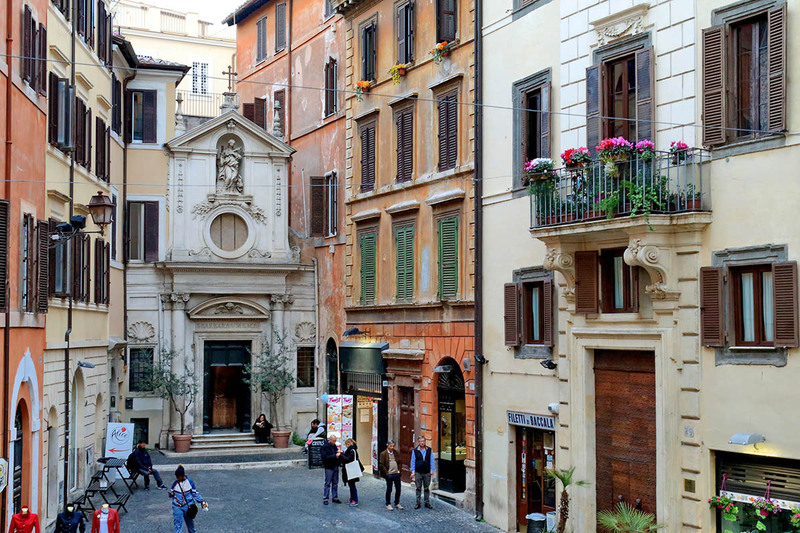 Moreover, other attractions such as the Trevi Fountain, Spanish Steps, and Piazza del Popolo can all also be reached on foot. Crossing the Ponte Sisto you will arrive in Trastevere. This is a great place to go in the early evening for an aperitivo or a classically Roman meal. Furthermore, heading up the Gianicolo hill just behind this, you can enjoy a beautiful sunset over the Cupola of St. Peter’s Basilica.